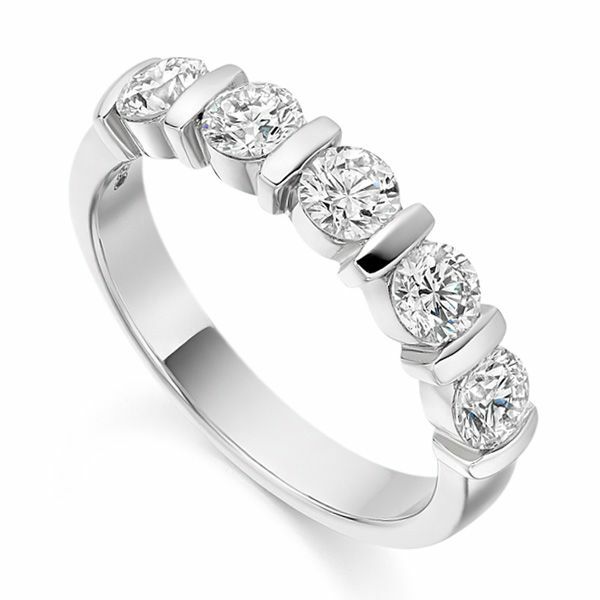 Classic 5 stone diamond half eternity ring, with 1 carat of round brilliant cut diamonds held within bar settings. The bar setting of this luxurious Diamond Eternity Ring perfectly contrasts with the curves of the five Round Brilliant cut Diamonds. The five Diamonds within this design have all been expertly chosen, achieve a total carat weight of 1ct and have been graded F Colour VS Clarity prior to setting into your ring. 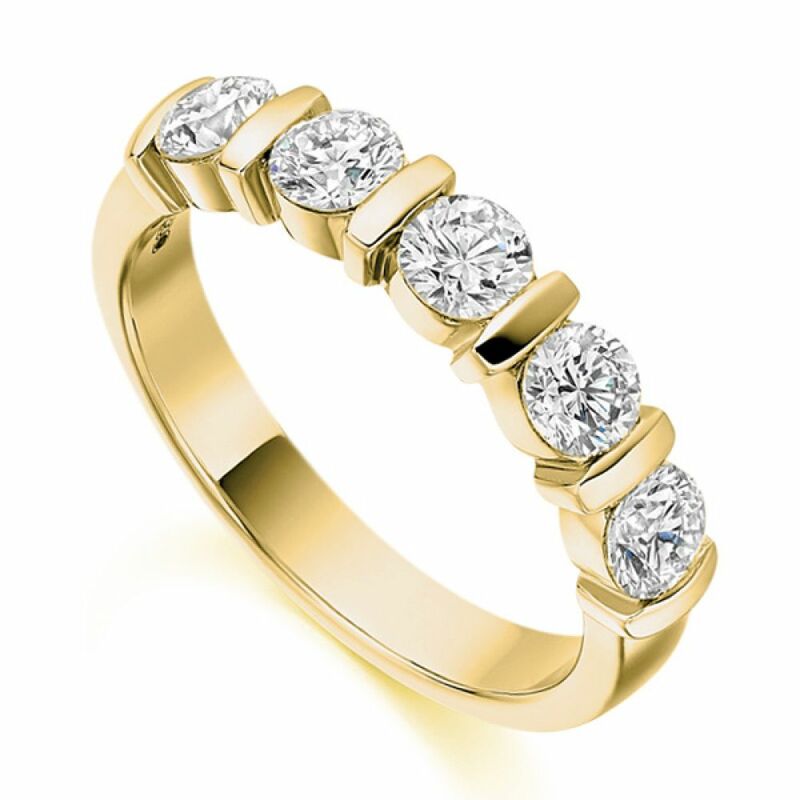 They sit within a 3.8mm band, which can be created in your choice of precious metals, available to choose from the drop down menu above. We can create your ring for you in 3-4 weeks, and it will be delivered straight to your door, in our bespoke Serendipity Diamonds packaging.